The Defence Ministry detailed reasons for non-combat losses. 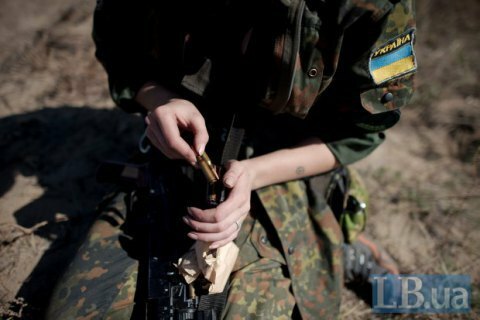 In 2016, the antiterrorist operation (ATO) forces lost 211 servicemen in combat and 256 out of combat. Of the latter number, 68 committed suicide, according to the Ukrainian Defence Ministry's response to an inquiry by journalist Oleksiy Bratushchak, who posted it on Facebook. Among the non-combat losses, 30 servicemen were killed, 18 died in motorway incidents, 10 died as a result of poisoning (alcohol, drugs and so on), 39 died as a result of mishandling of weapons, four because of breaching safety measures, 58 succumbed to illnesses, and 29 lost their lives as a result of accidents. Five more deaths had "other reasons". Last year, 1,198 servicemen were wounded, three were registered as missing (two were identified as killed and one was taken captive by pro-Russian militants). Earlier, the chief of the Armed Forces' General Staff, Viktor Muzhenko, said that Ukraine had lost 3,064 law enforcers since the start of the conflict, including 2,636 servicemen. Combat losses included 2,148 people. Ukraine's ambassador to the UK: "I can see no grounds to say that the UK will step back from 'Ukrainian issue'"